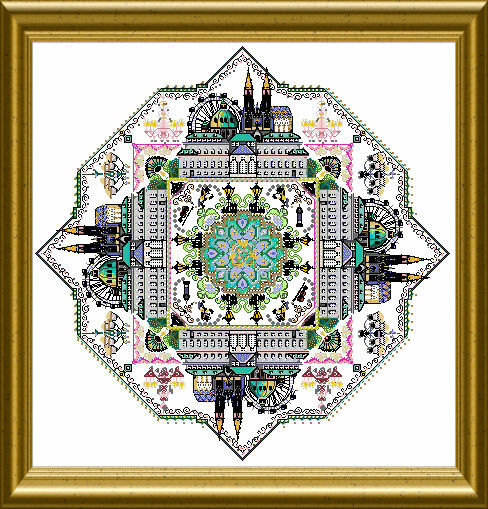 The gorgeous grandeur of Vienna’s buildings, all the old-world charm and romance captured in this design – you can stitch this as a memento or as a goal to travel to ! 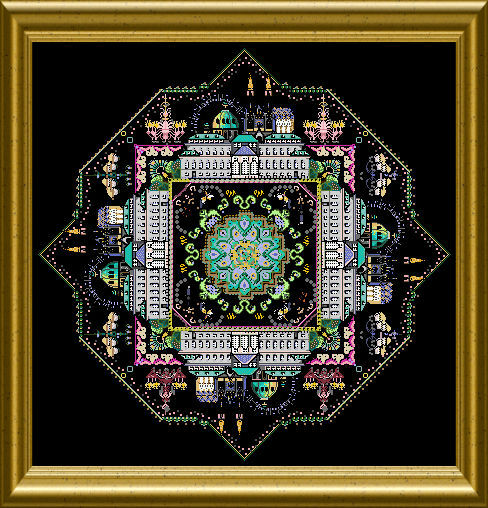 You will stitch famous buildings, tiny carriages (“Fiaker”), crystal chandeliers…. Normal cross stitch, some over one, beautiful Special Stitches and lots of different materials make this really entertaining. This design comes in 12 parts, as it was published in the former online class. If you stitch one part a month you will easily finish it in the course of a year 🙂 ! 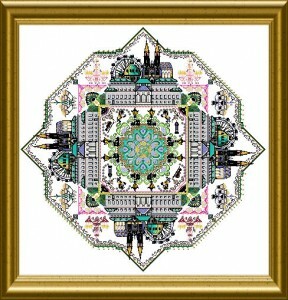 The mere design stitch count is 415 x 415 stitches. SNC 259 the color has been discontinued. And now which color can take the place of?